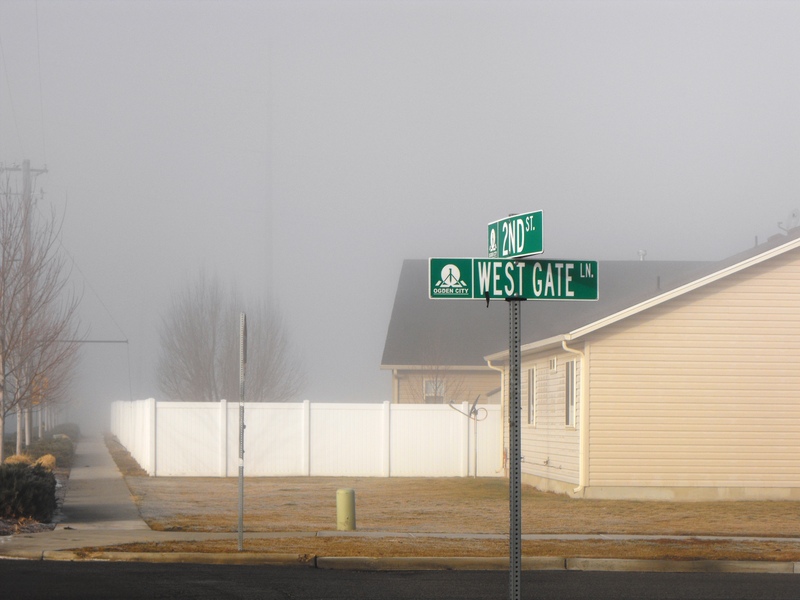 West Gate Lane was named for the prominent west entrance to Bingham Fort. The west gate of the fort was the prominent entrance. 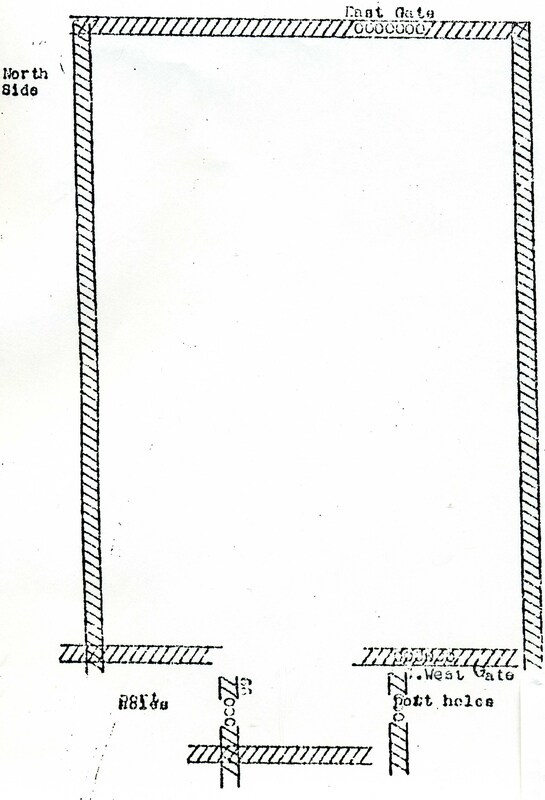 This drawing appeared in the Victory News, Oct. 15, 1943, p. 6, a publication of the Utah Army Service Forces Depot. 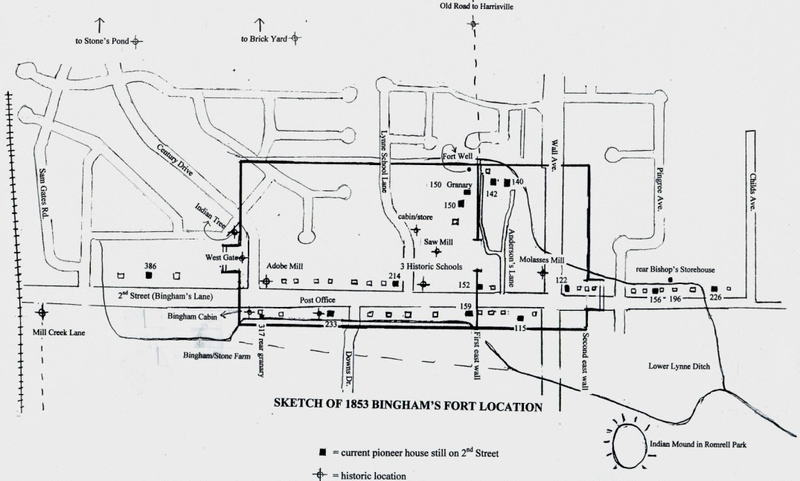 In the right hand lower corner of the drawing are these words: Bingham’s Fort, 1851- at Depot site. As described by David S. Tracy now 91 years old, who attended school in the fort schoolhouse (correct date for the fort is 1853). This map was furnished by Aaron Tracy and adds “port holes” to sides of the west gate. 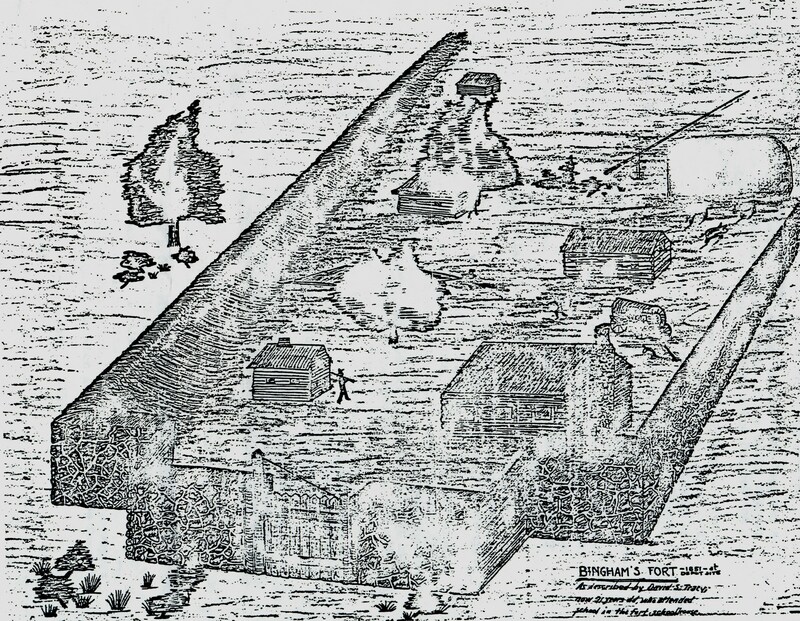 The cabins of Bishop Bingham, Sam Gates, and the fort military commander, Isaac Newton Goodale, were located strategically by the west gate facing the areas of prominent Indian encampment . In the 1860s it was recorded that as many as seven different tribes of Native Americans camped in the Meadows (today’s Business Depot Ogden). West Gate Lane and W. 2nd Street; photo 2014. 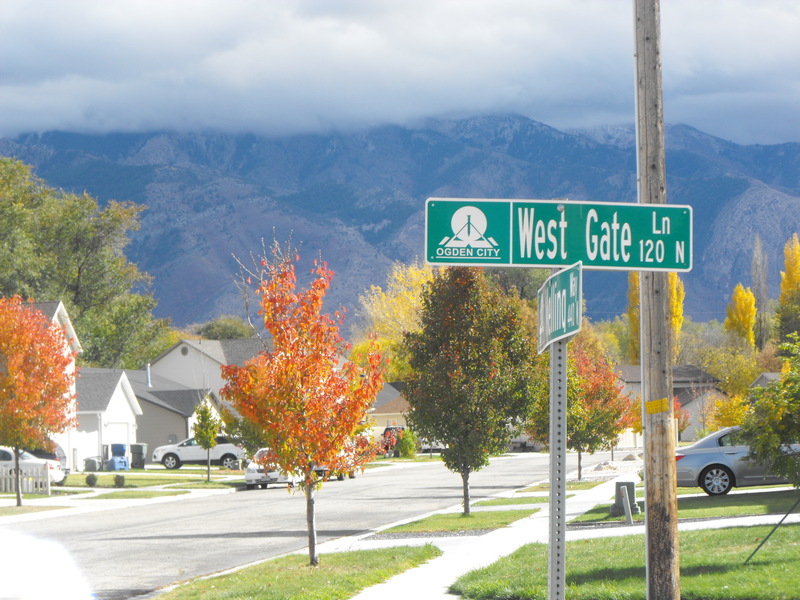 Actual location of historic W. Gate is on Century Dr.
 Depot Located on Historic Ground, Bingham’s Fort Close-By, VICTORY NEWS, Utah Army Services Forces Depot, Oct. 15, 1943, p. 6. Editors Dorothy Amelda Sherner and Laura Sherner Welker, Mary Elizabeth- Her Stories, manuscript, 1934, p.83, 90.